Anything new planned for Zorro? Are they that out of ideas on what to do with the character and name. Can we get back to some actual Zorro comics..
How exactly are the Republic Pictures Zorros (or the one from MASKS) any more "actual Zorro" than Lady Zorro or Lady Rawhide? . Stopped posting over a year ago (even lost my user name apparently and had to re-register) , as I had nothing that positive to say or post about the direction they were going with Zorro and lack of publication, I let it lapse. How is the character and direction you defending been doing since ? Generating allot of sales, allot of buzz on the forum? Or has it been dead? 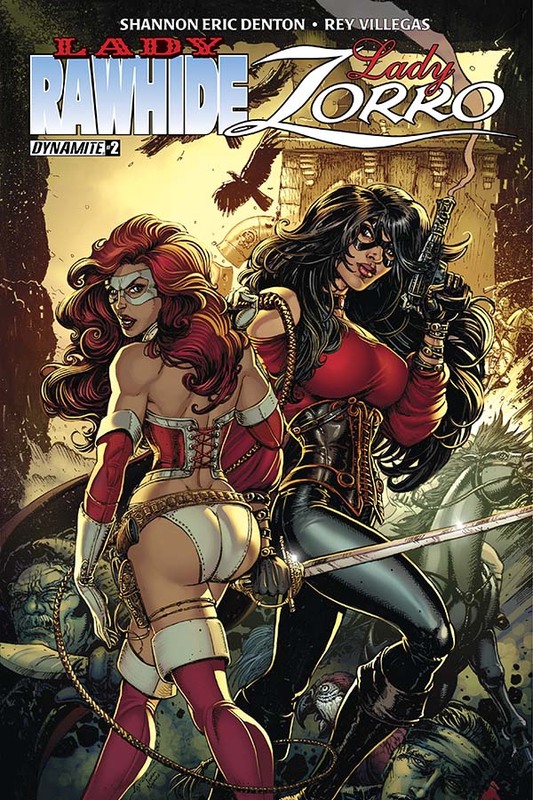 That, should tell you how Lady Zorro and Lady Rawhide are different from an "actual Zorro" comic. So again it'd be nice if Dynamite was publishing some actual Zorro comics. Last edited by Guicho; 01-12-2018, 10:11 AM. I know, right? I mean I would love to see another crossover with Zorro... It's just I can't think of any other then that recent one with Django. Looks like they squashed any faith or interest in this franchise. Does Dynamite have anything new on the horizon planed for Zorro? Last edited by Guicho; 01-12-2018, 07:25 PM.